Point Supported Hardware solutions from the Vitrum Glass Group provide an insulating system with glass that increases the transparency of glass facades while meeting demanding energy requirements. Spider Fitting systems like the one used above allow architects and building designers to maximize the clear openings and enhance aesthetics, delivering a clean, contemporary look both inside and out. Vitrum’s premium TrueForm tempered glass, oversized capabilities and precision fabrication make projects like this possible. For additional peace of mind, Vitrum Glass Group is proud to offer heat soaked glass to adheres to the stringent EN 14179–1:2005 (HST) Standard. Need inspiration for your design or more information on Vitrum’s extensive product line contact one of our highly knowledgeable product specialists at 1-888-391-1166. 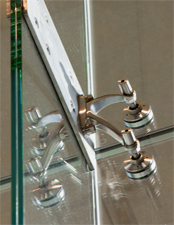 Vitrum Glass Group has partnered with Stella Glass Hardware to provide both beautiful and functional hardware solutions for your glazing projects. 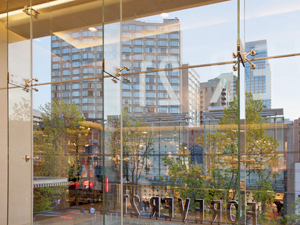 Pairing custom and stock hardware solutions from Stella Glass Hardware with heavy-plate and heat-soaked glass from Vitrum provides a one-source solution for structural glass walls and canopy applications. 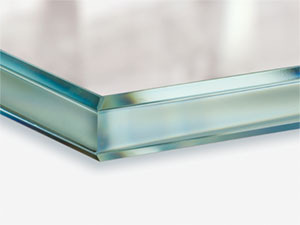 When your glazing project requires clean aesthetic lines and visually appealing connection points look towards Vitrum for premium quality glass and hardware solutions. For more information on our products contact one of our highly knowledgeable product specialists at 1-888-391-1166. Building designs that incorporate low-iron Starphire glass from the Vitrum Glass Group achieve stunning clarity and high performance. Starphire is available in thickness’s up to 19mm and provides the highest level of transparency allowing your project to achieve iconic status. Starphire contains only 10% of the iron content of regular glass – enabling it to transmit more light – without the greening effect typically associated with heavy plate glass. 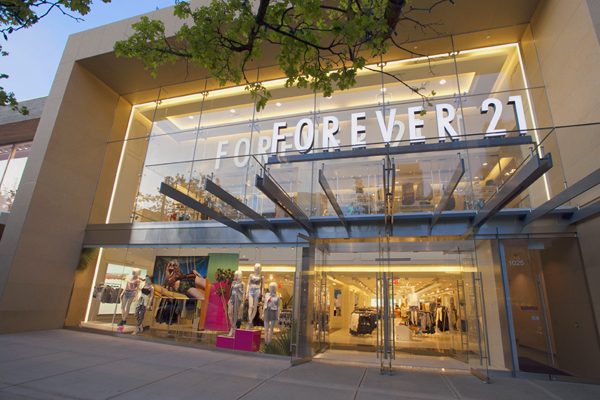 Starphire is a great choice for a wide variety of interior and exterior applications, including store-fronts, insulated glass units, entrances, interior partitions, shower doors and decorative glass applications including screen printed and back painted. When beauty, clarity and functionality are the cornerstone to your design vision ask for Starphire.